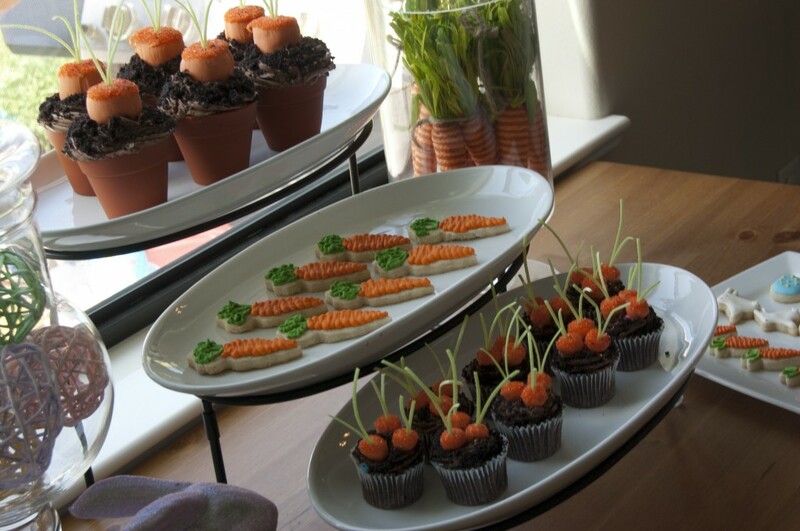 These carrot patch cupcake I saw over at Frog Prince Paperie are made from marshmallows dipped in candy melts! 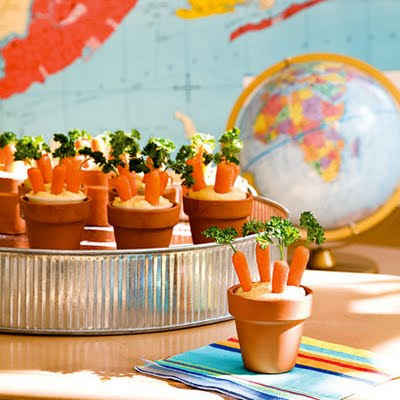 Such an easy and clever idea. And what isn't to love about a cupcake covered in Oreo crumbs. 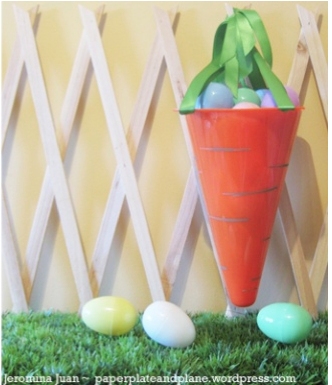 Once upon a time these cute carrot Easter baskets were just regular orange cones, but that was before they got in the hands of the magical Jeromina Juan. I honestly believe she is one of the most creative ladies I have ever...well I was going to say met, but I haven't met her yet...so most creative ladies that I have ever wanted to meet. If you are looking for a healthy Easter snack to balance out all of the sugar, these cute carrot patch snacks from Family Fun are made from, well, carrots! Parsley gives it that still growing in the ground appeal and add some hummus to the pots and you are all set. 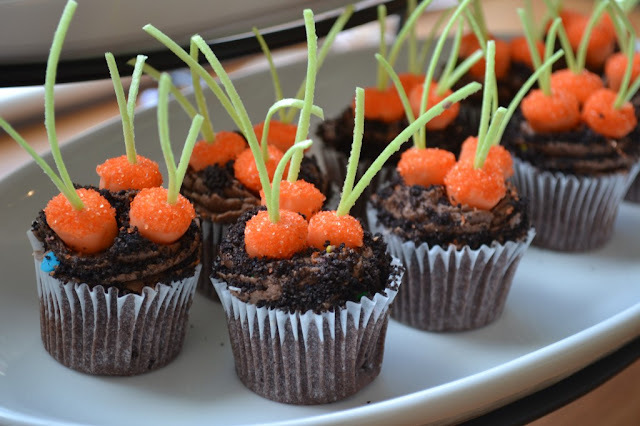 One of the first things I fell in love with on Beth's blog were the cute treats she made for her boys. 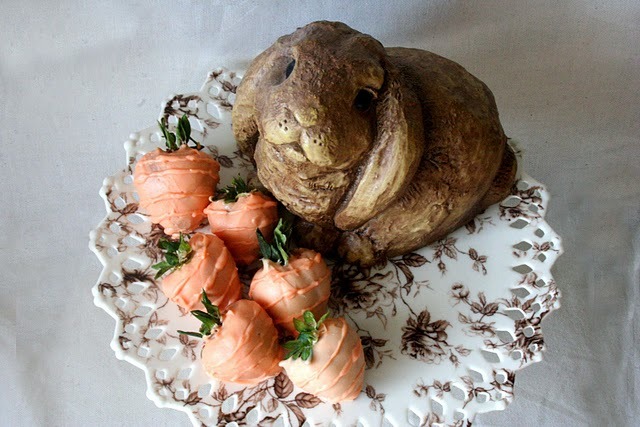 Ideas like these cute chocolate covered strawberries decorated to look like carrots. You can see the tutorial over at The Stories of A2Z. And these jelly bean carrots from Chicy Creations...so simple and so cute! 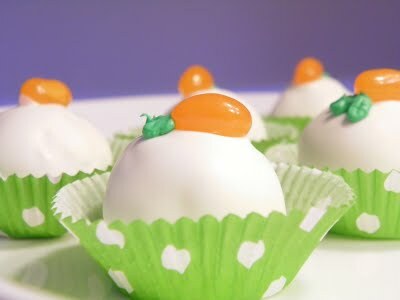 They would be fun on mini cupcakes too. 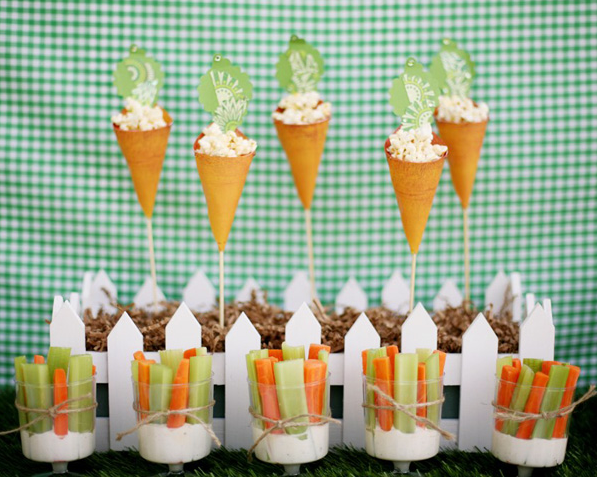 And last but not least, these paper carrot cones filled with popcorn are just one of the many cute ideas from the Easter Bunny Hop Party over at Hostess with the Mostess.